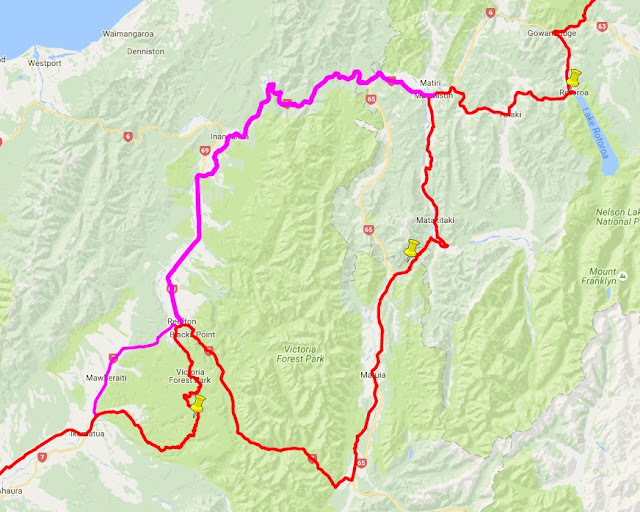 We've updated the GPS files to include a recommended bypass between Murchison and Reefton to avoid the heavy traffic now on Highway 65 (which is now effectively Highway 1 to Christchurch since the Nov 2016 earthquake). This misses some nice cycling but also avoids horrendous heavy traffic on the narrow Highway 65. 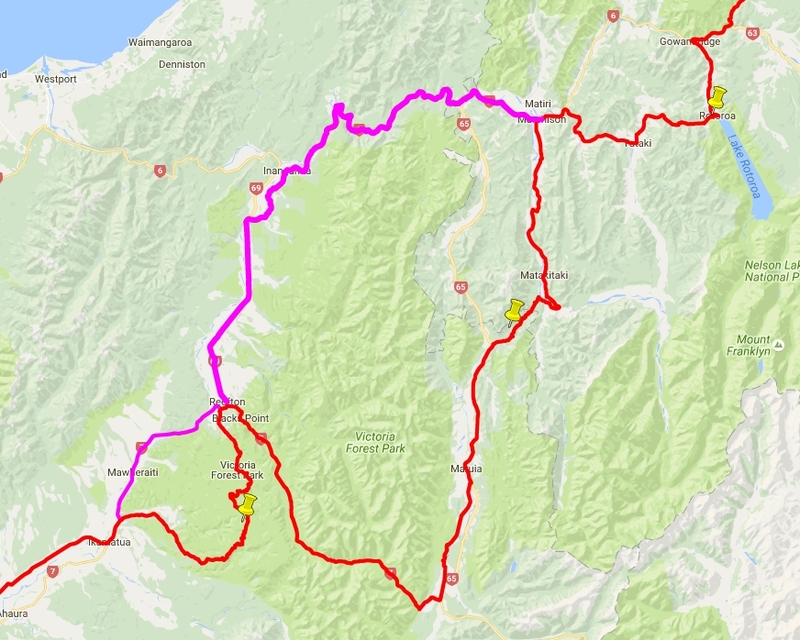 As at 1 Dec 2016 it has about 5 times more traffic and there's no road shoulder. Best to avoid it as much as possible.